The movement order of each Poomsae is predetermined so you must practice accordingly. The predetermined movement line is called the Poomsae Seon. Every form begins and ends in the same place. Poomsae also begins and ends with etiquette, as manifested in the bow. Poomsae must have beauty and power. Rhythm is derived from softness and strength of force. Technique is made of the slowness and rapidness of movement and the contraction and expansion of the body. 1. 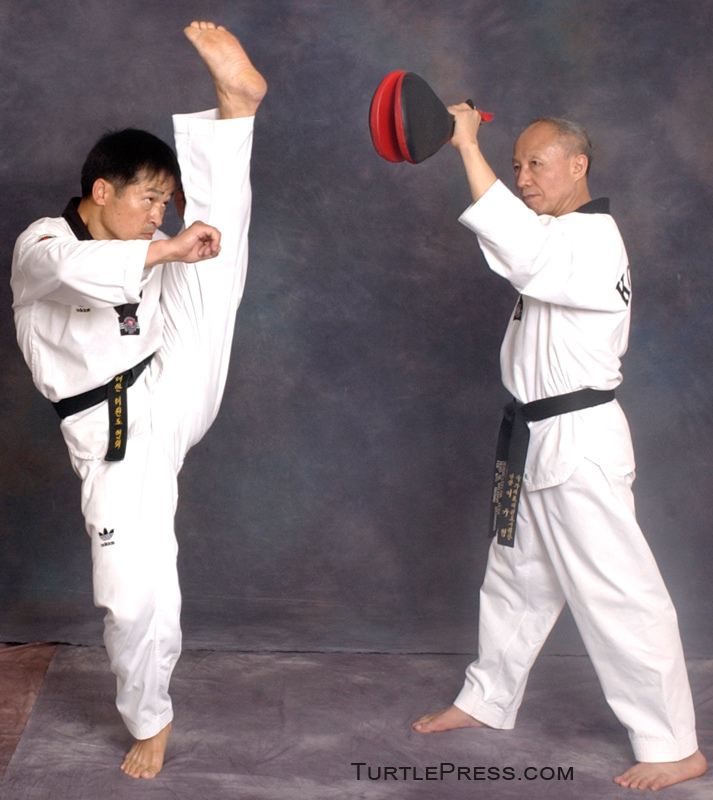 Each Poomsae movement is divided into preparation for the movement and the main movement. In preparation for a movement, you rotate your trunk, move your feet and prepare to block or strike. During this stage, relax your entire body and move your feet into a transitional stance while simultaneously chambering your arms or leg. Next, perform the main movement, the block, punch, strike or kick. At the moment of impact, focus your force on the target and snap your hand or foot to maximize the power of your movement. 2. For each movement, maximize the rotational force of your waist and the snapping motion of your strike. 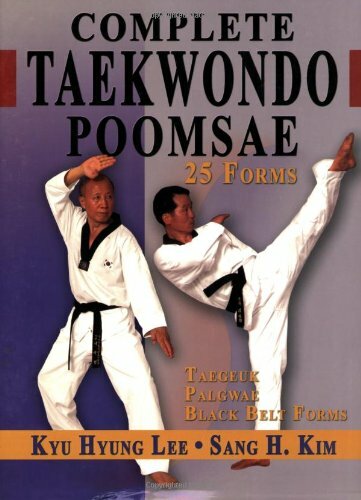 In Poomsae, you can increase your power by rotating your waist slightly when blocking, striking or punching. Avoid bending your trunk forward or sideways, as this reduces the power of your technique. 3. Power and Rhythm: When performing the preparation phase of a movement, relax your shoulders and coil your trunk to the side. When performing the main technique, focus all of your force into the target at the moment of impact. 4. Rhythm and Speed of movements: The preparation movement and main movement should be rhythmically and seamlessly linked. Avoid pausing in the middle of a technique. 5. When blocking, kicking and punching, always use both arms. In the preparation for the movement, one arm stretches toward the target direction while the other arm prepares to block or punch. 6. Always look at the target and align your body properly. 7. Accurately perform each stance. Adjust the width and length of your stance according to your height. When forming your stance, one step generally means the distance of one walking step forward. Pay attention to the degree of bend in your knees. 8. When kicking, bend your knee and kick as high as you can then quickly recover your balance.